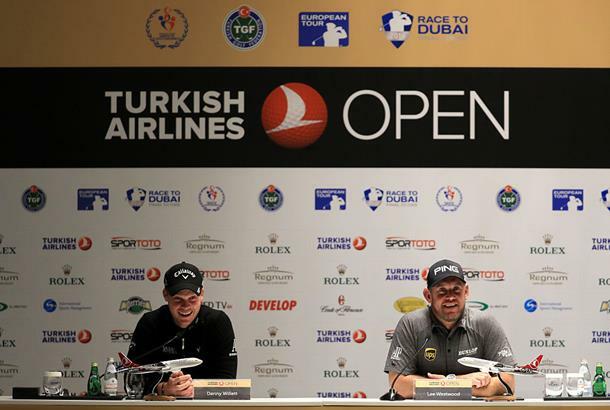 Danny Willett is hoping that a strong performance at this week's Turkish Airlines Open can help him steal a march in his push to win the Race to Dubai for the first time in his career, having agonisingly missed out on the number one spot last year. The reigning Masters Tournament champion arrives at Regnum Carya Golf and Spa Resort for the first event of the European Tour's Final Series and, having finished tied for 11th at this event last year and tied for fourth in 2014, is confident of overcoming his recent run of disappointing form. Having been overtaken by Henrik Stenson at the top of the Race to Dubai rankings last week, a strong result would see the Englishman return to the summit, while a win would go a long way in securing the title. "I had a terrible week last week and it was one of those things where anything that could go wrong did go wrong and I didn't play great and then just to put the icing on the cake, obviously Henrik and Rory both finished up there on the leaderboard," said Willett. "It's unfortunate that he's (Henrik) jumped above me but I was never going to win The Race to Dubai on the amount I was on. I always had to bump it forward, get more money on the board, and that's still the aim. I've got to go out here this week, hopefully the golf game gets a little better and I just keep working forward. "I've obviously got Nedbank next week and then the Race to Dubai finale the week after that, so there's still a lot of golf left. I've just not been playing very well, so that's the main aim of the next three weeks, to play better. "I think with Rory last year, to beat him, the criteria was I needed to better him in Dubai and I finished fourth and he finished first. This year, obviously with myself and Henrik and Rory right there, I think unless anyone does anything silly over the next two weeks, Dubai could be really, really good." The 29-year-old is joined in the field this week by compatriot and former World Number One Lee Westwood and the resurgent three-time Major winner Padraig Harrington, while Frenchman Victor Dubuisson will be hoping to achieve the remarkable feat of three victories in this event's four year history. "It's a different course this week obviously and it looks good. It looks quite tight, it's in great condition and they are great facilities here. The weather looks great for the week, so it's a good tournament and I'm looking forward to playing," said Westwood. "Once you get here, you see that it's fantastic. Everybody's so friendly here and it's a fantastic resort we're playing on, everybody's relaxed and easy-going and looking forward to having a world-class golf tournament. "I've got three big tournaments now and I'm finding a bit of form. I played well at the British Masters and played okay last week in China with just one poor round on the Saturday. But this is a big tournament, Dubai is, and I'm looking forward to playing the World Cup with Danny for my final event of the year."